Early release for the first official 5th Edition Dungeons and Dragons splatbook is just around the corner! On November 4th, not only will your local game stores have early release, they will have a limited edition collector hardcover of this book. At Just Games we strongly encourage you to pre-order this single-print run collector’s edition, and we want to encourage it so much we’re offering double Member Reward Points if you do! So call, email, or roll in and put your name down for the coolest monster manual release in the realms! The collector cover is available for $49.99. 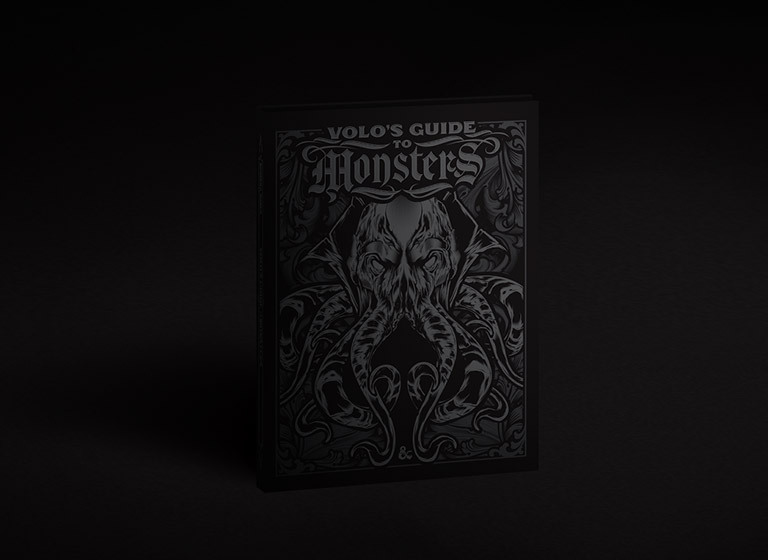 Volo’s Guide to Monster also comes in a limited edition format, exclusive to core hobby stores, featuring an alternative-art cover, beautifully illustrated by Hydro74. This version of the book will only have a single printing.